UDA We are the Champions! 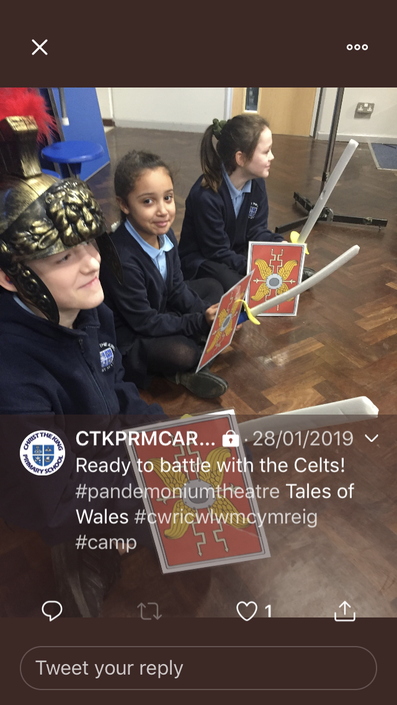 On Monday 28th January KS2 watched Pandemonium Theatre perform three 'Tales of Wales'. 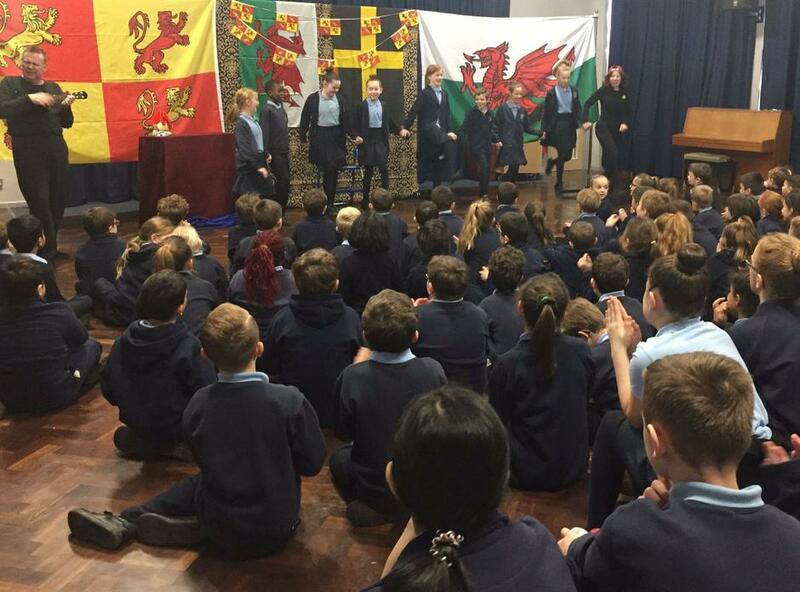 Each class will choose one of the tales to write for their competition entry in this year Eisteddfod. 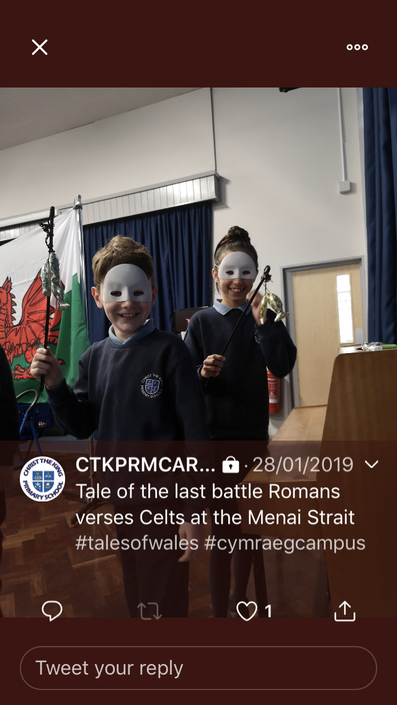 Year 6 are writing about the last story -the battle between the Romans and Celts. 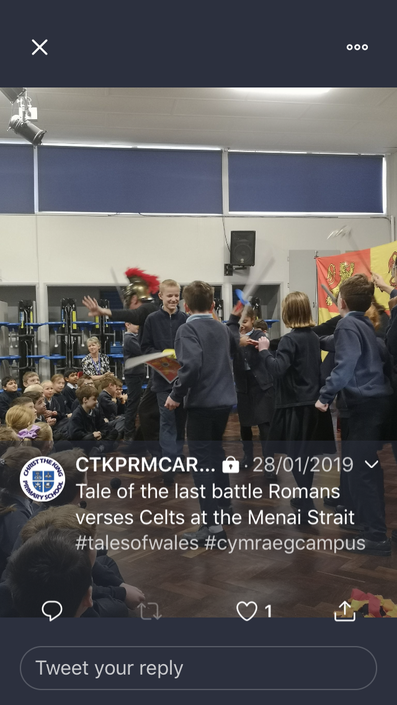 The Romans and Celts were fighting and a lot of blood was lost. Who won in the end? Look out for our story writing entries at the Eisteddfod! Amelia Earheart American aviation pioneer. Amelia Earheart is best known for being the first woman to fly across the Atlantic solo. In WW1 Amelia Earheart was a military nurse in Canada. Sadly in 1937 Earheart got lost whilst try to fly around the world. Even until this day they have not found Earheart's plane or body. Amelia Earheart is a very inspirational person.